Where do you want to go birding in Florida today? For a great set of Florida Bird images, cursor down this webpage to find Peter May's Florida Bird Gallery. Don't miss Peter Wallack's images of Great Blue Heron Courtship! contains directions and maps to south Florida birding locations. throughout Florida selected for their excellent birdwatching or bird education opportunities. A 2000-mile trail designed to conserve and enhance Florida's bird habitat by promoting birdwatching activities, environmental education and economic opportunity is under development. Make sure if you're visiting Florida to see the birds, that the donwload the calling cards of this site to leave with local businesses. a sanctuary as well as a breeding and feeding ground for many species of wading birds that depend on the climate's wet and dry cycle in order to reproduce. Naples, Florida is home to a wide variety of native plants and animals, including the largest colony of endangered wood storks in the country. Swamps, marshes and pine forests bring this 11,000 acre sanctuary to life. See also the Broward County Audubon Society Outing photos of the Corkscrew Swamp Sanctuary. (Thumbnails do not work, but click through to the larger photos) as well as Bill Scholtz's Corkscrew Swamp Photo Journal. here. Here's a map of Sanibel Island to help you follow along. See also Bill Scholtz's Sanibel and Captiva Island Photo Journals. Sanibel Island, Florida. The Refuge is operated by the U.S. Fish and Wildlife Service. See also Ross Warner's great Sanibel Island bird photos. ....Pelican Trees and Sundial - Sanibel Island - by Peter Wallack. Sanibel Island is located off the Gulf shore across from Fort Myers, Florida. See also Peter's Birds of Sanibel Island and images of Great Blue Heron Courtship on Sanibel Island. Jefferson National Monument, lies at the extreme western end of the Florida Keys, 68 miles west of Key West. Merritt Island NWR has shared a common boundary with the John F. Kennedy Space Center on the east coast of Florida. reputation for excellent birding. It is worth a visit at all seasons, but be aware that all sorts of biting insects may attack you anytime from March to November. species of West Indian birds which do not appear anywhere else in the Continental United States. During the spring and fall, waves of migratory birds pass through the Keys enroute between northern nesting areas and neo-tropical winter habitats. ...."Convention"al Birding in Texas and Florida - by Tina MacDonald. I was lucky enough to be taken along for the ride when my husband had to attend back-to-back conventions in Houston, Texas and Orlando, Florida. He went to work - I went to see what birds I could find. So, I played hookey, rented a car and went out to see some of the birding hotspots I had highlighted on my web-pages. is provided on local sanctuaries, as well as on several local preserves. Audubon Society. If you're looking for places to enjoy nature and wildlife in the Big Bend area of Florida, this site presents a number of great locations. by the West Volusia Audubon Society. the Martin County Audubon Society. Peter May. This is a very good guide to wildlife viewing and photography opportunites at Lake Woodruff NWR. Sections of this website address Habitats, Species Accounts, Photographic Tips, and a Seasonal Calendar, as well as Maps. See also Peter's site on the Emerelda Marsh Journal: a Year in the Wetlands. Sites - The Space Coast Distinction - a unique combination of high tech space travel and an unmatched diverse, natural environment. An alternate location for this site is on the Indian River Audubon Society website. provided by the Sanibel-Captiva Audubon Society. in the Lee, Charlotte, and Collier Co. areas (Fort Meyers) that covers most of SW Florida's habitats. ....St. Johns Audubon Society Hot Spots - Northeast Florida (St.
Augustine) offers many areas which are outstanding birding sites. These areas extend from Fernandina Beach to Vero Beach and as far inland as Gainesville and Ocala. the area known as Florida's Big Bend. The Big Bend includes the area between the Apalachicola River on the west and the Suwanee River on the east. Site is organized by bird species with links to sites where that species is found. site provides text and map guides to eight birding locations near Jacksonville. 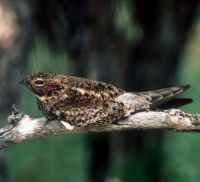 Also check out the Osceola NF Red-cockaded Map to specifically locate this elusive US endemic bird. Noel has also developed a map and descriptions for the best sites for viewing pelagic birds in Northeast Florida as well as general seawatch information in North America. the Orlando -Disney - Merrit Island area - A birder's diary of how to spend no less than eleven days around the Disney Resorts and yet still see almost a hundred species of birds with no prior knowledge of where to go! Other Recommended Sites in Florida - A compilation report based on the comments of experienced U.S. birders John J.Collins and Bill and Sue Nester. The Everglades and the Dry Tortugas are among the sites that they recommend. ....Seawatching at Apollo Beach - part of Noel Warner's birding site. of myriad riches. There are sparkling blue waters, magnificent snow-white beaches, and fertile coastal marshes. There are nineteenth century forts, shaded picnic areas, winding nature trails, and comfortable campgrounds. Diverse and abounding with wildlife, the park is not a single block of land but a mosaic. It includes 11 separate units stretching eastward 150 miles from West Ship Island, Mississippi, to the eastern tip of Santa Rosa Island, Florida. Finding FAQ - this site is organized by target bird, and provides directions to the best place to find them in south Florida. wildlife viewing by Region, by City, or by Species as well as an Index of Wildlife Viewing Sites and articles about Florida Wildlife. the premier location in the world to observe the fall migration of Peregrine Falcons. Each year over 23,000 raptors move through the Florida Keys, including over 1,700 Peregrines. Several other species, such as Merlins, American Kestrels, Sharp-Shinned Hawks, Cooper's Hawks, Ospreys, Northern Harriers, Turkey Vultures, and Broad-winged Hawks migrate into the Keys in large numbers. This is also the probably the best location east of the Mississippi to see both Swainson's Hawks and Short-tailed Hawks during migration. Come visit the research and education staff of the Florida Keys Raptor Migration Project at Curry Hammock State Park (Mile Marker 56, Overseas Highway) between September 15 and November 13 each year to observe this exciting migration for yourself. Audubon Society, in Winter Haven, Florida. The 42 acres of this center contain many fine examples of Florida flora and fauna. There are 143 species of birds, 15 mammals, 23 reptiles, 10 amphibians, 43 butterflies, 14 dragonflies, and 150 plants. This diversity makes a great outdoor classroom that everyone can enjoy. The two walking trails are a primitive trail and the Norton Agey Nature Trail. ....Suncoast Bird Sanctuary - Indian Shores, Florida. (just up the cost from St. Petersburg Beach) "They have a pretty large variety of Florida shore birds which they were rehabilitating or keeping, depending on the severity of their problem. It's a small Sanctuary, and we were there less than an hour, but it was fun to see some of the shore birds up close and identified." Information from Mary Liponis, Derry, NH. center dedicated to rehabilitating and releasing injured seabirds in the Biscayne Bay area. Visitors are welcome to visit and watch the many types of seabirds that frequent the area. and southern Florida, 12/24/03 through 12/30/03. It is a combination of two reports posted previously on the Floridabirds-L list. Benson. In August 2001 and May 2003 our family holidays took us to that ultimate tourist destination, Orlando. Birding was not a high priority in their minds but was uppermost in mine, especially as it was to be my first visits to the other side of the pond. What follows will probably be of more help to a birder in a similar situation to myself, where holiday locations are based more on family requirements rather than species diversity! ....Trip Report: Florida, USA - January 2003, by Andy Wraithmell. This was our second trip to Florida. If like me you are a keen photographer then take plenty of film, to be honest I could have taken twice as many shots as I did. The best reserves for photography were J N Ding Darling NWR, Corkscrew Swamp Sanctuary, Everglades NP and Wakodahatchee Wetlands Reserve (especially for Sora). ....Birding South Florida - March 13 - 19, 2001. By Stefan Tewinkel. This excellent trip report includes an illustrated species list. March is not the best season for birdwatching in Florida since some birds arrive much later, nevertheless I saw a lot of interesting birds and missed little. The weather was warm and excellent with absoultely no rain at the places I visited. On the other hand South Florida is suffering from a severe drought with only very few mosquitos but also less birds. saw our first visit to the USA with a three week vacation in Florida on a Fly Drive with Virgin Atlantic. All in all I enjoyed the visit to Florida even though it involved a lot of travelling around. I didn't see as many birds as I had expected, mainly because of the lack of migrants. I think I would have been pretty disappointed without the visit to the Tortugas. My advice to anyone visiting Florida at the time that we did would be to spend as much time in the areas where you find a lot of birds such as the Blackpoint Wildlife Drive, Corkscrew Swamp and The Dry Tortugas, unless there are good falls of migrants. birdingpal.com...>> A Birding Pal is not a paid guide, but someone who likes to help out of town visitors. You can become a Birding Pal today! Help someone to enjoy your local birding spots and find a pal to help you when you travel. Click here for Florida Birding Pals, or join to be a Birding Pal! guided birding tours to Florida, the Dry Tortugas, and the Carribean. There are many specialty birds that occur in Florida regularly or as vagrants, these are targeted as part of these professional tours. In addition to many South Florida Tours, trips to the Dry Tortugas go twice a month between April 7 and the end of May, 2000. Florida is the only true tropical region in the United States containing habitats, flora, and fauna found nowhere else in the country. Indeed, more than a dozen species of tropical and West Indian birds reach their northern limit here and are seldom seen elsewhere within our borders. miles off Key West in the Gulf of Mexico is a chain of islands called the Dry Tortugas, the only tropical islands associated with the mainland United States. Here, on tiny Bush Key, birders can witness the breeding-season gathering of thousands of Sooty Terns and Brown Noddies, the largest concentration of these pelagic species in the northern hemisphere. Dry Tortugas April 27 - 30, 2002 (4 days - Limit 28) with leaders Jeff Gordon & TBA. ecology festival in Everglades National Park, including naturalist guided birdwatching in Main and Shark Valley sections of the park. Included is luxury coach transportation to sites and trails, 2 nights lodging at Flamingo Lodge, 7 meals, full use of park facilities, exhibitors, evening seminars on birdlife, wildlife, habitats, comparative ecology, natural history, and conservation and restoration of the Everglades. Watchee, Florida. TEL: (352) 596-4743. ....Suwannee River Naturefest - March 22, 2003. Gainsville, Florida. Moore Haven, FL. Tours take in Lake Okeechobee, Okeechobee county, Glades County, Fisheating Creek, Hendry County, Caloosahatchee River, OK Slough, and Big Cypress Reservation. Keynote Speaker this year is the CEO of Audubon of Florida, Stuart Strahl. Bird Artist and Craft show Sat the 12th. This link only works for Internet Explorer users. and locations. Come celebrate the mystery of migration at one of our Songbird Festivals. Guided birding tours, educational exhibits, landscaping for wildlife seminars, games and presentations. For more information on the above events, check this site closer to the scheduled dates. Sponsored by the Florida Game & Fresh Water Fish Commission in cooperation with the U.S. Fish & Wildlife Service and National Park Service. Florida Birding Festival is one of the biggest birding affairs in the United States and one of the few urban festivals. Proceeds from the festival go toward the purchase of Shell Key, one of the state's last pristine barrier islands. The Festival will highlight the area's 19 "state-listed" species through field trips, seminars, keynote addresses and a festival marketplace. For more information, call 877-FLA-BIRD or 727-464-7200. Florida Keys Birding & Wildlife Festival is an annual event during the fall bird migration in the Florida Keys. The Keys are a hot spot for raptor migration in North America. Visit the web site for current information on upcoming festival activities and more information about birding , wildlife observation, and eco-tours in the Keys. et al. 1st Ed. edition (March 1990). #175) - by Bill Pranty. Excellent guide to the birding sites of Florida, especially to those birders chasing local "specialties". Areas and Wildlife of the Southern Peninsula and the Florida Keys - by Susan D. Jewell. by Susan Cerulean, Ann Morrow. From the dazzling beaches of Canaveral National Seashore to the subtropical sawgrass prairies of world-famous Everglades National Park, the Florida Wildlife Viewing Guide will lead you to 96 premier wildlife viewing areas and will better your chances of seeing wildlife once you get there. Included are detailed descriptions of each viewing site and its wildlife, maps, and access information, helpful viewing tips, and more than eighty color photographs featuring the incredibly diverse wildlife and natural areas of the Sunshine State. Naturalist) - The Pocket Naturalist card is a pocket-sized, folding card which provides simplified, easy-to-use reference to what everyone should know about familiar plants, animals, and natural history. Maps are included to highlight prominent sanctuaries and outstanding natural attractions. This 3-Volume Set is produced in association with the National Audubon Society and the Nature Conservancy. Join nature enthusiast Ken Dial as he travels to several birding hot spots filled with the most spectacular species of birds imaginable.